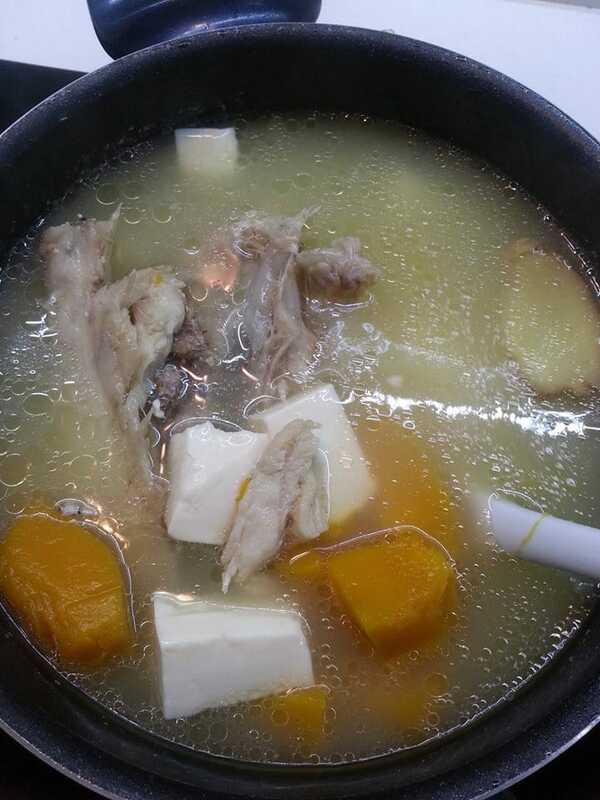 In this section, I will be showing how to cook fish head soup with different ingredients. Actually the steps is about the same, just that the ingredients is different. Fish head is well know for its high collagen, protein and carbohydrates, thus is good for complexion. Because fish head has more fish oil compared to the rest of the “fish parts” thus it has high omega-3 and DHA, whihc is good for brains and eyes. There is no particular fish for the dishes I have prepared, but the common fish head I always use is threadfin, salmon and song fish. Because all this fish, their head are quite big enough to make a tasty soup. Normally I buy whole fish for the whole week meal, so it comes with fish head (obviously, hahaha). If buying the whole fish head is not your routine, you can just buy only fish head off the shelve at the fish sections. Leek is a low calories and high vitamins A vegetables. It contains anti-oxidants, vitamins and minerals. 4. Use the cooking pot (for cooking soup). Add in a bit of olive oil. Stir fry shallots till fragrance. 4. Add in water and salt, turn to high heat. 5. When boiling add in tofu and boil for another 5mins and serve. Pumpkin is high in antioxidents which is not only good for skin but for eyes too, so don’t think kids don’t need it. It also contains Vitamins A and is a low-calories food. Tofu has protein, calcium and iron. 5. Add in water and salt. – Do not cook tofu for too long otherwise the tofu will be in bits and pieces.